Moving house can be expensive and stressful! Yet, did you know that the average British person will move eight times in their lifetime? That's insane! Luckily, it doesn't have to be as costly as everyone claims. All you need is a bit of savvy know-how. Lucky for you, we're here to spread wisdom with our top tips on how to save money and transform you into a moving guru. Only pack items you need! Clutter is very frustrating and can often lead to you packing everything which will cost you more in transport costs and if you're moving to a smaller space you will have to pay for storage. Check out Colleen's advice on how to throw away items you don't need anymore as a great starting point for what to throw away. Weeks before packing, make sure you sort items into take, donate, sell or throw away. This will help you have a better understanding of how many boxes you will need and what size vehicle you need to hire. If you're having a hard time decluttering, Anushka's post about stress-free decluttering tips will help. When choosing a moving date, bear in mind that hire removal companies will always charge more for weekend and bank holiday dates than they will for weekdays. If you hire a van it will also be more expensive during the weekend or bank holiday period. Roads will also be busier so you could end up stuck in traffic which will cost more in petrol. Try and aim to move on a weekday if possible to cut down on costs. 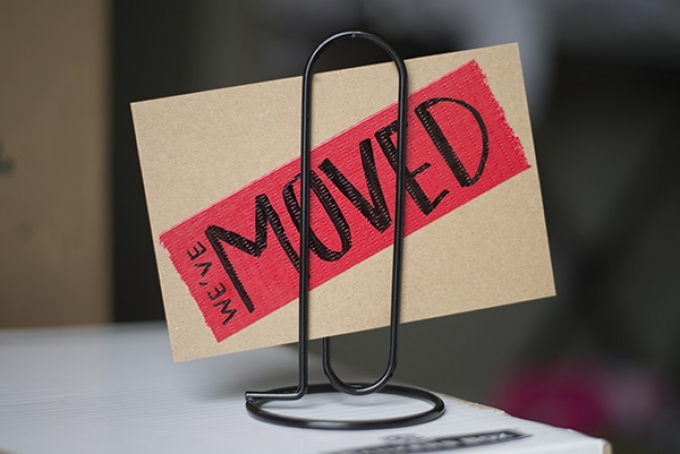 Let friends and family know your new address and more importantly, make sure all the right people know your new address including banks and utility companies to avoid unwelcome bills popping up months later. It's no secret that 0845 numbers are expensive, but nowadays most companies will let you change your address details online. You can do this prior to moving on your own connection or popping to your local cafe or friend's house to borrow their WiFi. Not only will this save you time and energy being placed on hold for hours, it will also help you avoid ridiculous post redirection fees. Don't forget to cancel or redirect all your subscriptions, too. You can pick up free boxes from local independent businesses such as liquor stores and grocery shops who will be happy to donate if you ask nicely. They are likely to have lots of spare boxes stacked from deliveries. Bigger stores like Homebase have a section near the exit where people throw boxes and packaging away. Most of these boxes are in perfect condition and they're yours to take for free, help yourself! 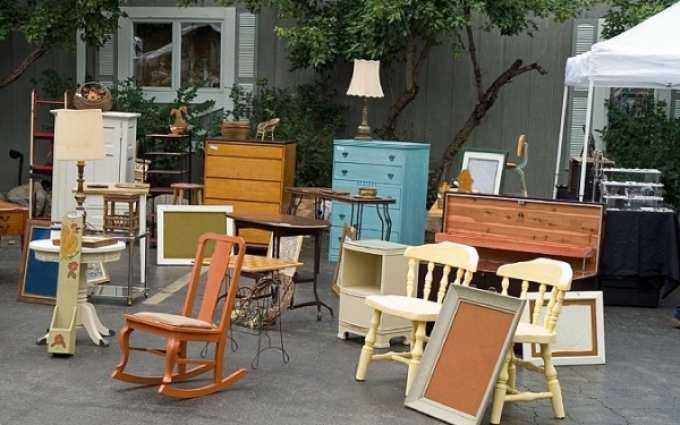 Whether you're planning to ditch your old furniture and can't find a buyer or afford transport to skip it, or you're looking to score new pieces for your next home, sites like Freecycle and Gumtree could be your life saver. They let you advertise your furniture on there for free! On top of that, someone comes to your house to collect so there's no delivery costs or hassle. Again, it's better to plan weeks in advance because you don't want to be moving all that furniture to your new house. Keep a look out on your local Facebook groups for people also giving away free furniture. Arrange to pick it up for free close to your moving date (or on the day of moving) so you still have the transport to move big pieces. 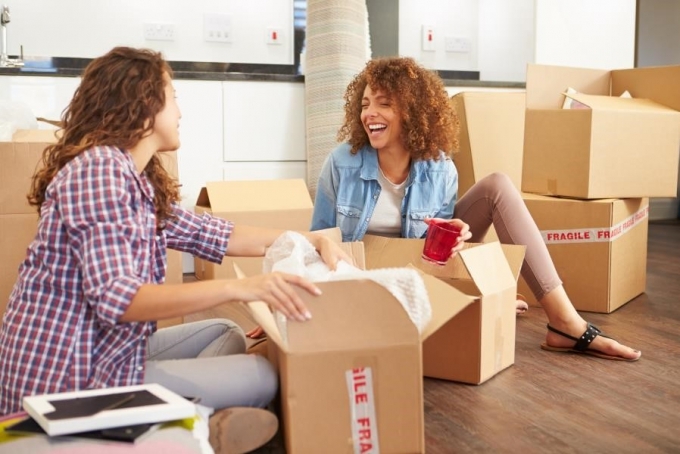 Make sure you pack an essentials box for the first night in your new home and carry it with you separately to other boxes. This should include items like tea, coffee, snacks, toilet roll, cleaning wipes, cups and a kettle (that's what we'd take) and any items you consider necessary. This will mean you don't waste time digging through boxes when you arrive and that you don't end up spending more nipping to your local shop to pick up goods which will be more expensive. 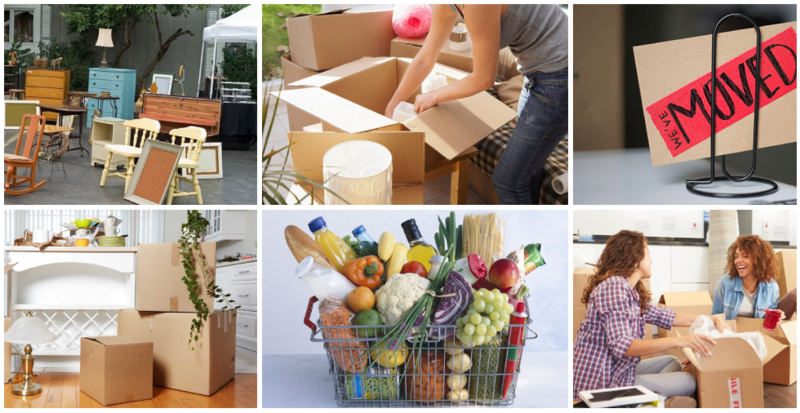 For help packing like a pro, check out our 17 smart packing tips to make moving home a breeze. Packing and moving everything yourself is a great way to save money, but it's exhausting! Why not ask your friends and family if they can chip in or if they know anyone who can help e.g. someone who can lend you a van or can help move boxes. You can also reduce your outgoings by asking around to see if anyone knows a plumber for expensive jobs like disconnecting or reconnecting a washing machine. If you clean the house yourself between friends then the labour is halved and you can save big pennies on pricey professional cleaning services. Hopefully your friends and family will help! Don't throw out all your food on the day of leaving your house. You have spent a lot of money on food and it would be a crying shame to let it go to waste. Make an inventory of all the food you have to consume before moving house and see how you can create an inventive meal plan for the weeks running up to your move. Get family involved and make it fun for the kids! By making the most of the food you already have in your fridge, you will save lots of money on eating out or ordering takeaways. 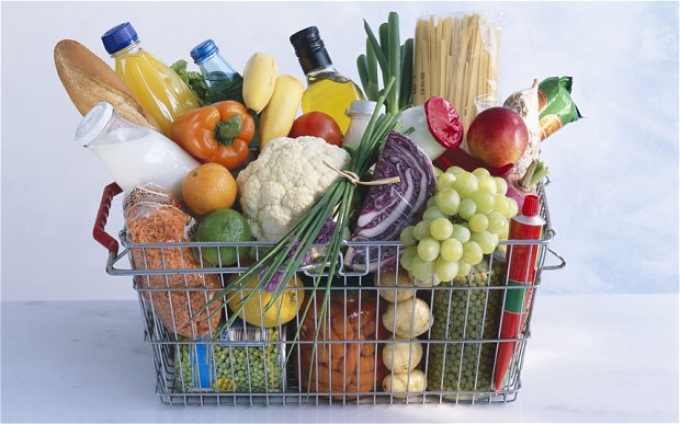 A great tip is to order your food shopping online to your new house the night before so it arrives the day you move in. This will also save money on takeaways and will save you a ton of money on your first couple of days. It will also mean you won't have to keep running to your local store when you're tired from unpacking, you're welcome! 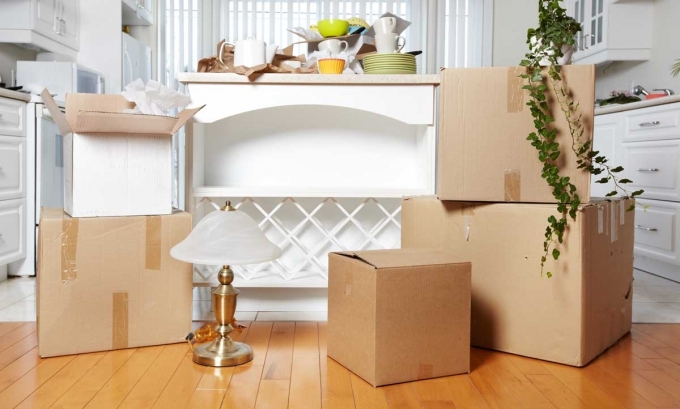 Hopefully our top tips will help make your move a little cheaper and less painful! Get in touch with any tips of your own below, we'd love to hear from you. Moving is one of those things that you can't really think about all of the variables of until you're in the middle of it all. That is, of course, unless you read articles like this. I'd never thought about ordering food online while moving until I read this, and think it's a brilliant idea. Being able to order it and go pick it up saves time and money! Thanks for the great advice all around. Nice tips! I’m moving soon and just started packing some items. I’ve purged more than half of what I owned and now it seems much easier. Your tips and advises are very helpful for me, some are quite smart. Thank you for the packing ideas! This article helped me a lot as these tips are very important and one should keep these helpful tips in mind for a save money move. your blog is my way to desired information,Thanks for posting something worth reading. Great work.